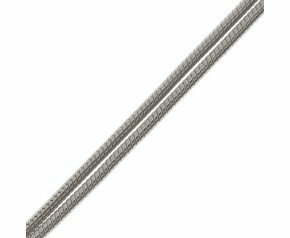 Unlike traditional chains with visible links, snake chains are made up of closely fitted unique wavy rings, that give the appearance of a flexible long tube. Known for their smooth narrow and delicate appearance, hence its name. Choose from 9ct to18ct in a range of colours from yellow gold to white gold and in a length that suits. 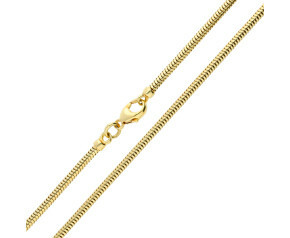 Enjoy our fine snake chain selection. 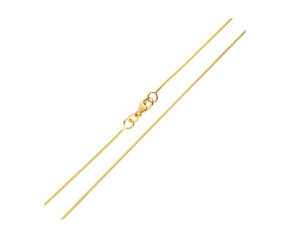 This slinky elegant chain comes in 9ct or 18ct gold and in a range of colours and lengths for all occasions.